So why is this extension so great in my opinion? As you probably know Windows Phone projects in Visual Studio already support multilingual localization for the applications based on .resw files. 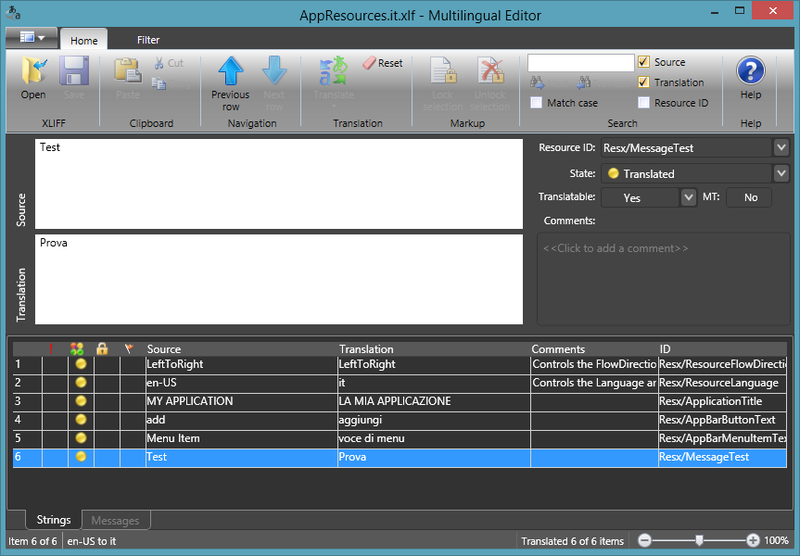 The Multilingual App Toolkit adds support for localization industry-standard XLIFF file format and also connects with the Microsoft Translator for quick translation suggestions. Lets have a quick looks on how it works. 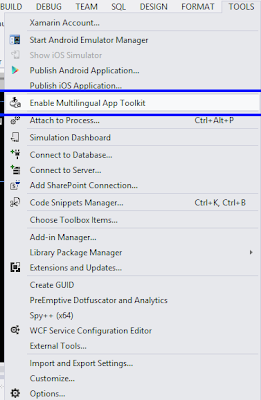 After you have installed the extension you will find a new menu entry inside the Visual Studio 2012 Tools menu with which you can enable or disable the Multilingual App Toolkit for your Windows Phone project. 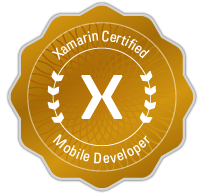 Once you have enabled the Multilingual App Toolkit Visual Studio added the XLIFF support and also generates the AppResources.qps-ploc.xlf which is the pseudo-language engine that helps identify translation issues during development. 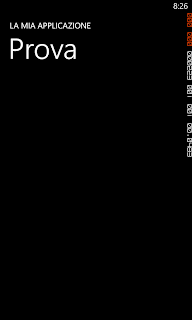 From this moment you will USE ONLY the AppResources.resx file to add new resource strings and the extension (at compilation) will add the missing strings to the corresponding .xlf file. To add new languages to your application you will only have to select the desired language as supported in the project Properties inside the Application section. 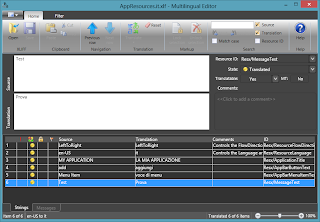 Once a language is selected the extension automatically generates the corresponding Xlf file. You can then double click on the xlf file and Visual Studio will open the Multilingual Editor that enablesyou to edit the translation. If you add new strings to your AppResources.resx file remember to compile the project before opening the .xlf file or you will not see the newly added strings. Now with these 3-4 easy simple steps we have localized our application. You can use the the Microsoft Translator in order to have some suggestions but you should always double-check the translation in order to avoid strange translations and situations ("My Application" in italian is translated as "La mia domanda" which actually means My question). Some words about the AppResources.qps-ploc.xlf pseudo language file. 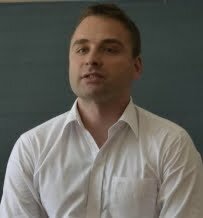 Pseudo Language is an artificial modification of the software product intended to simulate real language localization. 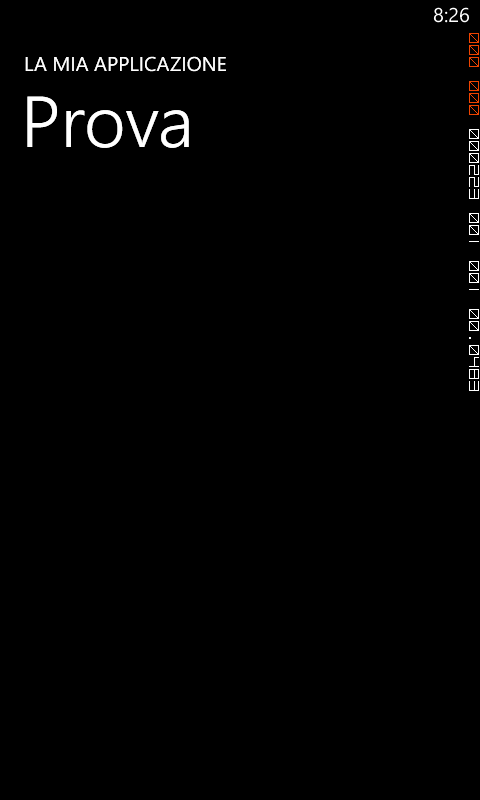 The pseudo language can be used to detect potential localizability issues or bugs early in the project cycle, before the actual localization starts. For more details about localizability testing with Pseudo Language see Localizability Testing. Inside Visual Studio if you right click on the Pseudo Language file you can select the Generate pseudo translations. More details on how to use the Multilingual App Toolkit can be found HERE.